From Dor Dorim, Chapter 1: "The Light of Israel"
"Dor Dorim (Throughout the Generations)" is an intellectual history of the origins of the Chassidic movement and its most prominent leaders written during the early 1900s by Rabbi Yekusiel Aryeh Kamelhar of Stanislav, Galitzia. Rabbi Kamelhar was an accomplished Torah scholar, expert in both Halakhah and Kabbalah. He was also knowledgeable in many areas of secular thought, which he felt was necessary in order to reach out to the religiously disaffected Jewish youth of his day. Rabbi Kamelhar spent his last years in the Bronx until his passing in 1937. This lengthy introduction to Jewish mysticism was but one of many of his published works, today known only to bibliophiles and historians. 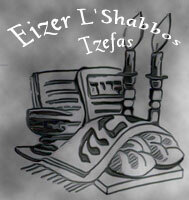 "While the Baal Shem Tov was in Kutov, he used to meditate in the mountains and fast from one Shabbos until the next. The purpose of his meditation (hisbodedus) in the mountains and wilds of the forests was this: he sought to become one with his inner being – with his feelings and thoughts; to hear the voice of his inner soul from her very depths, without any admixture of external influences, the hustle and bustle of the city and its surroundings; to become lucidly aware of the flow of his inner being and its inclinations, and to bring them entirely under the authority of the mind, freed from all external distraction. 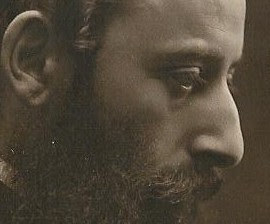 Prior to him, spiritual seekers devoted all of their energies to searching out all that exists above and below, and completely forget about themselves and their physical existence in order to know their ‘I.’ By contrast, the Baal Shem Tov introduced a new method of spiritual probing: a way to become an explorer of one’s inner being, and to vigilantly observe whatever took place in the chambers of one’s heart and soul, all of one’s inner faculties, and every movement, however great or small.
" ‘The atmosphere was fraught with terror due to fear of the enemy [i.e. 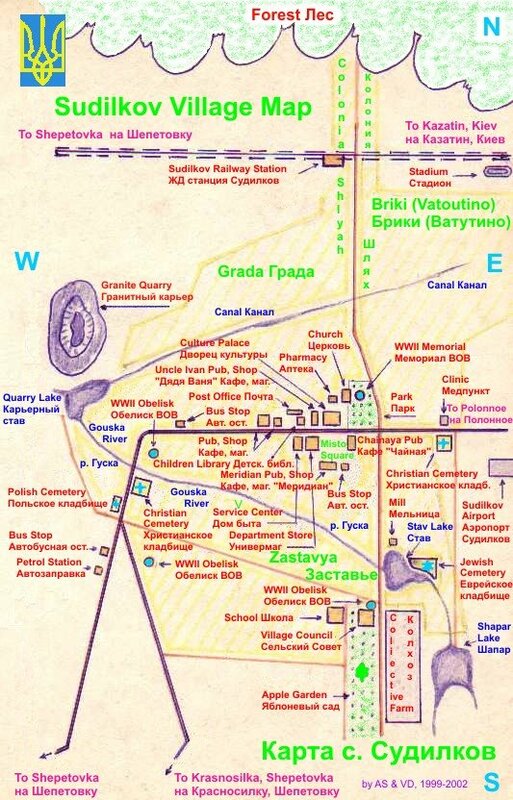 the combined forces of Ukrainian Haidamaks and Cossacks]. Even the most stout-hearted feared for their lives, lest calamity befall from the marauders who lay in wait to put an end to them. Sounds of terror constantly filled their ears from horrendous incidents of pillage and murder, which were commonplace. In addition, the existential void of the Jewish world was filled with dreadful images of demons and ghosts. These were the causes of the widespread pietism of self-mortification and morbidity, due to the "lower fear," external fear. The ARI zal had already cautioned against this in his time – to keep far from external fears and to serve God with joy; as the Torah cautions, "Since you did not serve the Lord with joy…" (Deuteronomy 28:47). 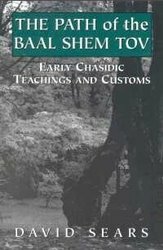 Therefore, the Baal Shem Tov meditated in the mountains and in uninhabited places to train himself to rule over the lower fear aroused by his desolate surroundings, and to transform it to the supernal fear, which is awe before God; to master his fear due to the awesome splendor of the Lord of Hosts.’ "
"The Talmudic sages called sailors "chassidim (devout)" -- "Most sailors are devout" (TB Kiddushin 82a). Men of the sea are habituated to overcoming their external fears because they often are faced with death, and this motivates them to attain the ultimate pristine fear, that sublime awe of which our holy master [Rabbi Levi Yitzchak of Berditchev], the author of "Kedushas Levi," states: "There is no delight like the delight of cleaving to God in pure awe." This is the spiritual rung of the true Chassidim; and there, in the mountains, among the caves and cliffs where the Baal Shem Tov meditated in seclusion, he attained this trait: mastery over all external fears by bringing them under the sovereignty of God, Who reigns forever in His might." Similarly, the Baal Shem Tov’s illustrious great-grandson, Rabbi Nachman of Breslov, states in Likkutei Moharan I, 15, "Whoever wishes to glimpse the ‘hidden light (ohr ha-ganuz)’ – the ‘secrets of the Torah’ that will be revealed in time to come – must elevate the trait of fear to its spiritual source…"
" ‘Silence is a fence for wisdom (chokhmah) (Avos 3:13). When one is silent, he is able to bind himself to the World of Thought (Olam ha-Machshavah), which is called ‘wisdom (chokhmah).’ "
"Through silence, one can meditate upon the greatness of God and bind oneself to Him more completely than through speech." "There is a type of divine service that entails movement (tenu’ah), which includes all of the positive mitzvos, Torah study, and prayer; and they all accomplish various mystical unifications. However, there is another type of divine service that entails repose (menuchah). One sits alone in silence and contemplates God’s loftiness. This relates to the World of Thought (Olam ha-Machshavah), which is also called the World of Rest; for one enters into a state of stillness. When one wishes to experience deveykus, he should sit in silence, with holy thoughts, in a state of awe and attachment to God." "One who wishes to enter the World of Thought must be silent. Even to speak properly would detract from one’s state of mind – for thought is an extremely lofty thing, and even worthy speech would have a harmful affect on it. This is implied by [the Talmudic narrative, in which God shows Moses how Rabbi Akiva was destined to be burnt alive by the Romans, and tells Moses in his dismay:] ‘Be silent! Thus it arose in thought…’ (TB Menachos 29a). That is, in order to ascend to the [World of] Thought, one must be silent. And even if one were to remain absolutely still and not utter a word, in spite of this, there are confusions that disturb the mind and interfere with [one’s attempt to reach the essence of the mind]. Therefore, one must attain purification of the mind…"
Contemplating the Word "Echad (One)"
" ‘Hear O Israel, the Lord our God, the Lord is One’ (Deuteronomy 6:6). When during this part of the prayer service a person recites the word ‘One,’ he should contemplate that the Holy One, blessed be He, is all that truly exists in the universe, for ‘the entire world is filled with His Glory’ (Isaiah 6:3). One must realize that he is nothing, for the essence of a person is his soul, and the soul is but a ‘portion of God Above’ (Shefa Tal 1a). Therefore, nothing truly exists except the Holy One, blessed be He." "When a person realizes that the Master of the Universe is actually present in his every word and gesture, however great or small, all spiritual confusions [literally "all workers of iniquity"] disperse that obscure the light of the mind." " ‘I, I am the One Who consoles you…’ (Isaiah 51:12). When one realizes that the true ‘I’ is God, and nothing else exists besides Him, then [the divine promise is fulfilled that] ‘I am the One Who consoles you.’ "
"One must realize that essentially he, too, is Godliness. When one considers that the ‘self’ is really nothing, then Godliness will rest upon him." "It is not necessary to ‘place’ oneself in Godliness – but only to realize that everything is subsumed in the Divine Light." " ‘Why did the Torah begin with the account of creation? Because [the verse states], "The power of His acts He declared unto His people . . . " ‘ (Rashi, Genesis 1:1, citing Psalms 11:6). This alludes to the soul contained within God’s ongoing act of creation at every moment. The Great Maggid (Rabbi Dov Ber of Mezeritch) received a path from the holy Baal Shem Tov by which one may perceive in everything the inner soul that gives life to its physical form." The Great Maggid (Rabbi Dov Ber of Mezeritch) received a path from the holy Baal Shem Tov by which one may perceive in everything the inner soul that gives life to its physical form." The catch is that this method seems to have been passed on from master to disciple as an oral tradition, and not put in writing. Therefore, one who is not merely curious but who wishes to embark on the Baal Shem Tov’s inner path is compelled to search for a qualified teacher. A very valid conclusion. We discussed here before, the subject of hisboydedus in light of Likutey Moharan. And it was noted that there is definitely something there too, that isn't put in writing (may be even qualitatively bigger than a written part). In Likutey Moharan I:1 the Rebbe discusses the histaklus into the chochmo (seykhel) - the inner essence of things, saying that it is an avoydo of everyone. According to the quote above, it requires a kabolo from the teacher. The Sefer I think would solve allot of peoples problems regarding these issues, it gave me a brilliant and well rounded insight into the path which you mention. The Mittler Rebbe had his own derekh of hisbonenus (contemplation)which some intrepid mevakshim in Chabad are trying to revive. Although I learned some of his Kuntres Ha-Hisbonenus and Kuntres Ha-Hispa'alus, this was many years ago, and Chabakuk Elisha probably knows more about the Mittler Rebbe's mehalekh than me. However, whatever its benefits may be (and I'm sure they are great), this type of hisbonenus is not the same thing as the Baal Shem Tov's way of meditation. I have put together some sources for further research as a follow up to this posting, which ASJ plans to add to this blog in a few days, iy"H.
A Yid may have some more to add to it, since this is one of his major interests, too. FYI: I plan to post the second part to this posting on Wednesday. Why did this derech not continue or get much specified “air-play”? Who else, aside from the Baal Shem Tov, had this approach to meditation? Where does Rabbi Kamelhar z”l get his information from? It seems to me that the Baal Shem Tov’s chidush really comes down to one thing – his shita in Tzimtzum, which – as a result – is manifest in his shita of hashgocha protis, and thus in his shita in bechol derochecha doeihu, and as well in his approach to meditation. Actually this is, it seems to me, the fundamental element of derech ha-Baal Shem. For some reason though, while we hear quite a bit about the Baal Shem’s tzimtzum, hashgocho and bechol derochecha, the approach to meditation gets very little practical discussion… Why is this? Was there an intentional position that this is not shova lechol nefesh (while the many other elements of chassidus that are discussed at length were?) and that this approach to meditation was relegated only for a select few bnei aliya? Was it simply lost while other elements took center stage? Other reasons? No, on the contrary. It was stressed it is for everyone (may be with different levels for different people, however for sure not the total absence of it). It has a wide discussion in early Chasidic sforim, and practically NO discussion in newer ones. However even the early sforim speak only briefly, leaving the main bulk of information to the oral mesoyro. (One of the best samples of early sforim discussing these subject with more than usual technical details are Maggid's sforim, and amazing seyfer "Toldoys Ahron" from Reb Arn miZhitomir ztz"l, who was the talmid of Kdushas Leyvi zy"o). What's intersting, those sforim indicate, that these methods are of the central importance and value, and it makes one to wonder even more - what happened? The question is - where is mesoyro, or better to say - who has it? In Chabad too, in spite on many written sources, there were oral traditions (not written down anywhere) which are called "chinuch pnimi". They were explicitly indicated as coming straight from Baal Shem Tov. It seems these denote the ways of hisboydedus. Who has them now in Chabad? Sometimes I wonder if the Baal Shem Tov's hisbodedus disappeared because we can't seem to stop talking and conceptualizing all of the time! I don't have the answers to the questions you raised. But the Piacetzna Rebbe did teach some meditative techniques (as you well know) in Bnei Machshavah Tovah and in the back of Derekh HaMelekh, "Inyan Hashkatah (Silencing the Mind)." The author of Shiva Einayim is also busy with these mekoros. It was intersting to find your blog noboddy ever tlked about this aspect of Judaism to me and I am happy to know it. I hope other muslims see your blogs and stupidly do not mix political issue with their perspective about this religion.